After a crackdown on casinos in 2007, the sports betting industry is now booming in Kazakhstan. Located in Central Asia, Kazakhstan is the largest land locked country in the world with an area of over 1 million square miles. The country became part of the Soviet Union in 1936 and was the last to declare independence after the republics broke away from Russia in 1991. 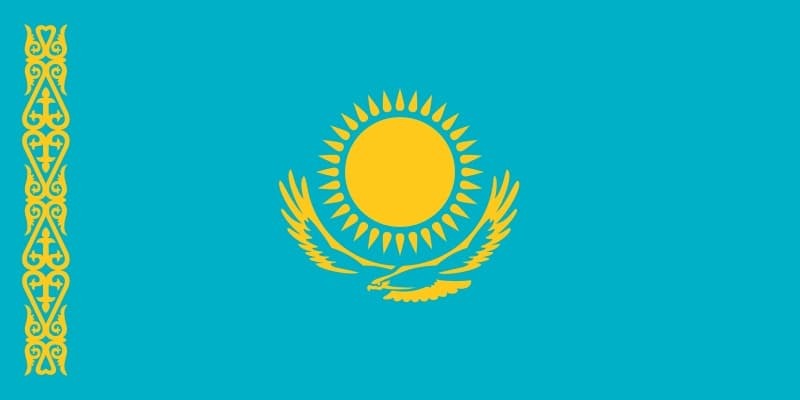 Since its independence Kazakhstan has become a unitary republic with Nursultan Nazarbayev being the only president since 1989. Both Kazakh and Russian are classed as official languages within the country and the currency used is the Tenge. In this guide to sports betting in Kazakhstan, first you’ll find a look at the history of sports betting in the state. Then online sports betting is looked at along with the taxation winning bets are subject to. After this the accessibility of online sites for Kazakhstan residents is looked at and finally thoughts are given to the future of the industry in the country. While there was a complete ban on all forms of gambling under Soviet rule, the years after independence saw a gambling craze take over Kazakhstan. The newfound freedom in the country along with prosperity from the country’s oil supplies saw gamblers across the country filling casinos and gambling halls. All this came to an end in 2007 when all the casinos and halls were instructed to move to two lakeside towns outside of the cities of Almaty and Astana. The idea behind this was twofold – it was to protect the country from the ‘harmful effects’ of gambling and create Las Vegas style areas to attract tourists . While these restrictions caused a lot of frustrations for gamblers across the country it also saw the increase of sports betting, an activity not covered in this relocation. Before long many new betting shops started appearing around the country, along with betting kiosks and electronic terminals. These businesses catered for the average bettor, who could not afford to travel and play at the casinos yet could place a small wager on a football match . With several licensed operators appearing, tax revenue raised by sports betting is now in excess of $5 million. While there have been calls to tighten controls, particularly on underage gambling, the Association of Bookmakers and Totalizers of Kazakhstan (ABTK) estimated in 2013 that only 2% of the population regularly placed bets . Online gambling was prohibited by the 2007 legislation  although since then one operator, Olympus has become licensed. In addition to this site, Kazakhstan residents can wager many of the big name international sites. Even though these do not fall under Kazakhstan law they are licensed elsewhere in the world and operate legally in their own countries. With no blocks put in place by the government and no law against residents wagering on them, there are many options to choose from, offering competitive prices and a number of bonuses and free bets. While there is evidence to suggest Kazakhstan does impose selective content filtering online, mainly for political reasons there has never been any limitations on betting sites . While in 2013 there was talk of restricting online operators form outside of its borders, nothing was decided upon or enforced. As a result Kazakhstan sports bettors to continue to enjoy recreational sports betting with little or no interference. There is no income tax liable for gambling winnings in Kazakhstan. This is especially true if you use foreign sites as they operate in other jurisdictions. Are Online Sports Books Accessible for Kazakhstan Residents? While you will not find many sites operating in Kazakh there are a number who offer Russian as a language option. The same goes for the Tenge and you likely have to have your balance held, and wager in Euros or US dollars. Deposit and withdrawing from sites is relatively straightforward. For most bettors credit or debit cards are the easiest options and both Visa and MasterCard are widely accepted. Often you may run into problems withdrawing back to MasterCard so in these cases, and other similar ones, you can often request a check or bank transfer. Other banking options include e-wallets like NETeller and Skrill which allow you to hold your money online then transfer to and from online sites at will. These are also useful if you use many sites as they can hold your funds in your chosen currency and reduce the need to make exchanges. In addition to these you can find a number of prepaid options available locally, although you may wish to check with the customer support as to which options are best. 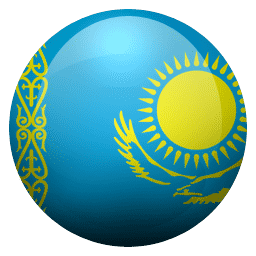 While there have been concerns voiced about both the increase of sports betting in Kazakhstan and the intrusion of international sites, there appears to be little desire to make any changes to the legislation anytime soon. This means sports bettors can continue to enjoy a wide choice of sites without restrictions for the foreseeable future.